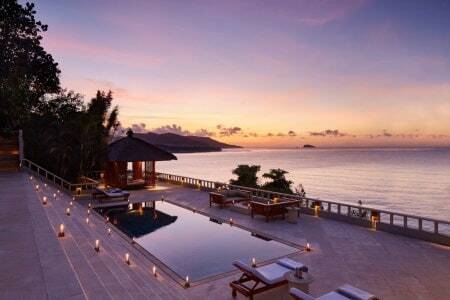 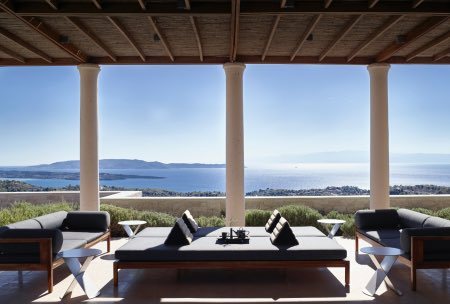 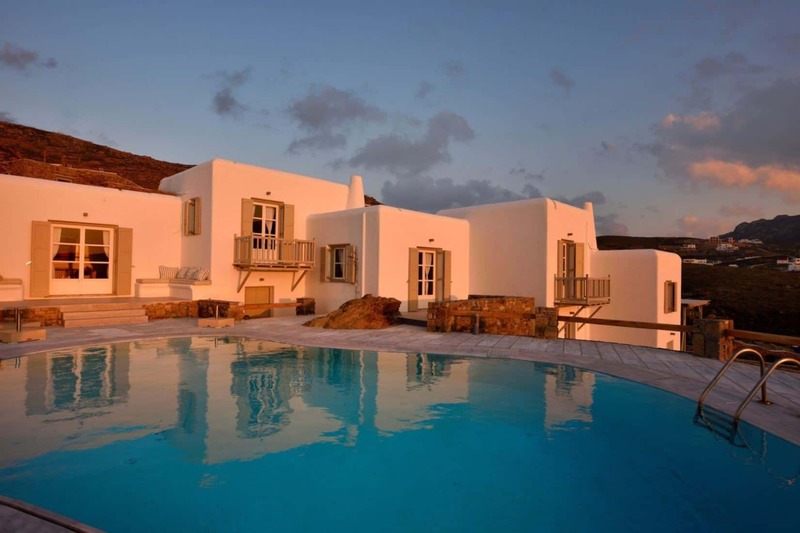 Villa Juliet is a magnificent 400 sq.m. 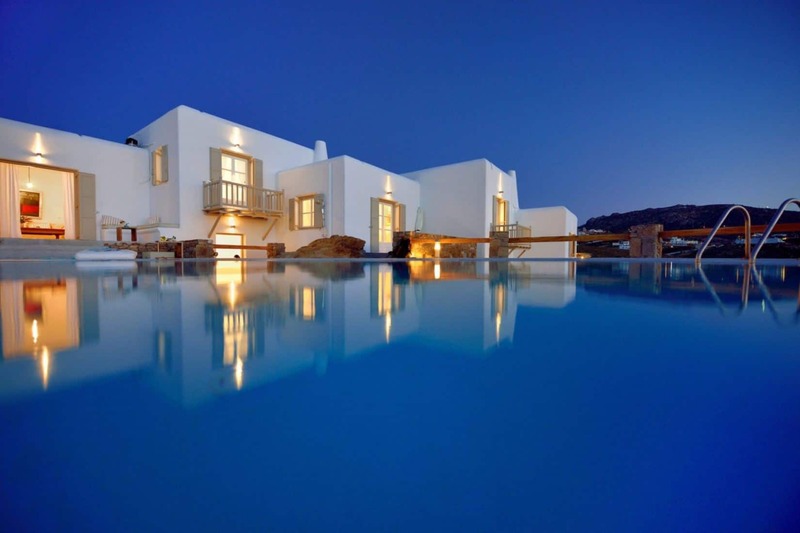 luxury villa located in a 4.000 sq.m. 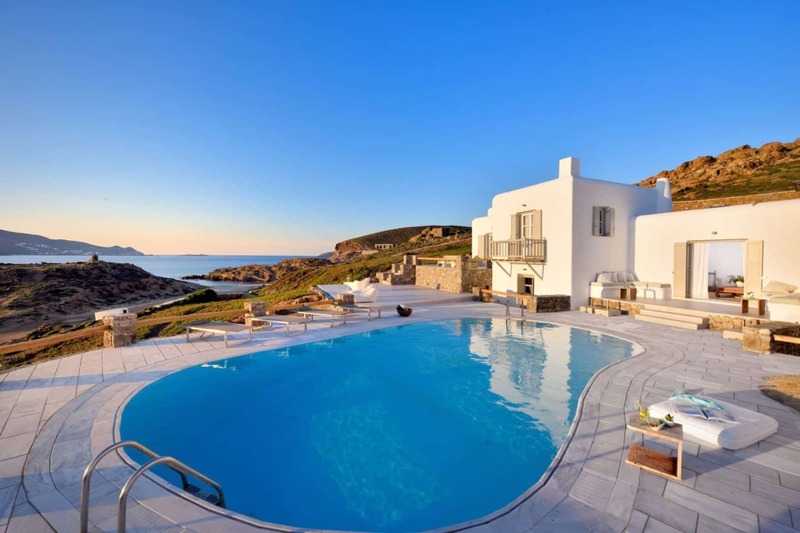 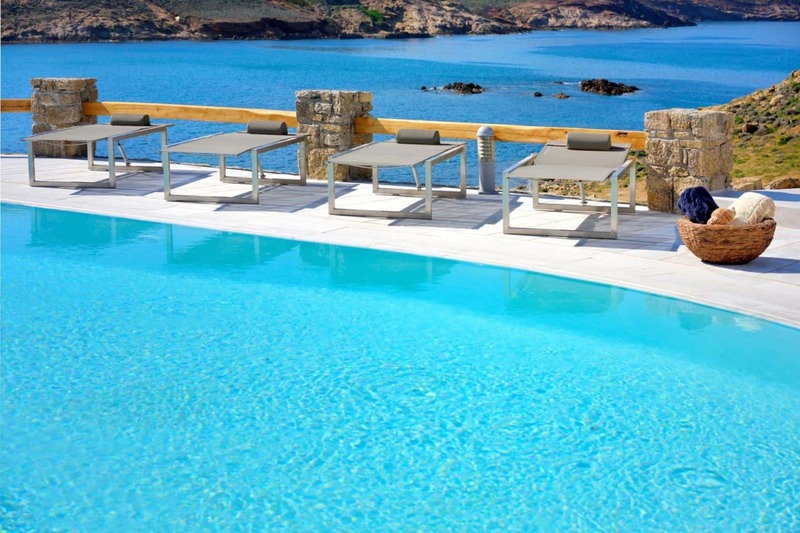 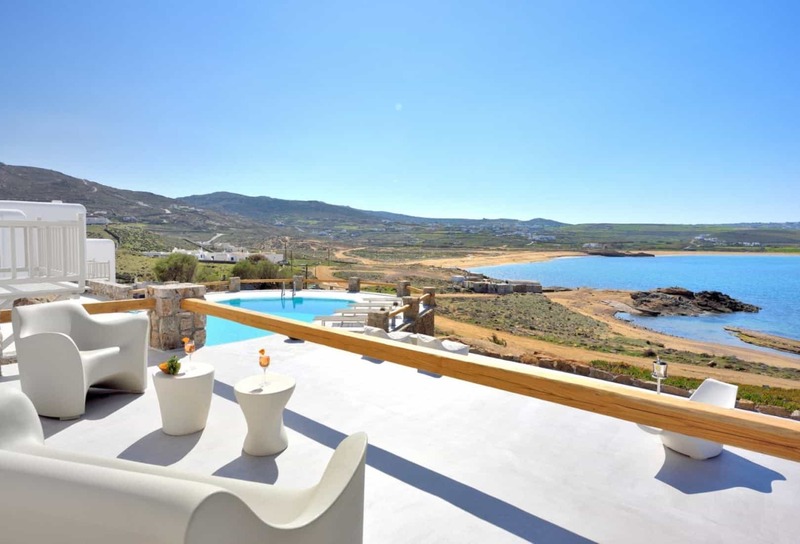 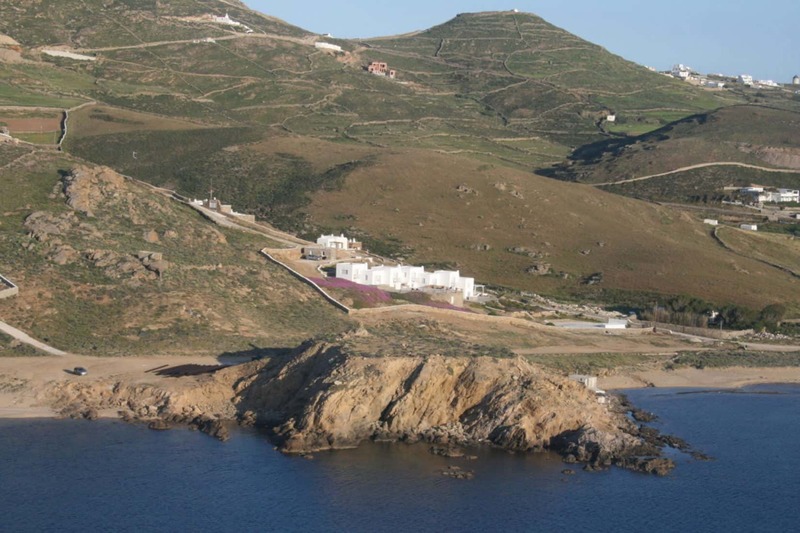 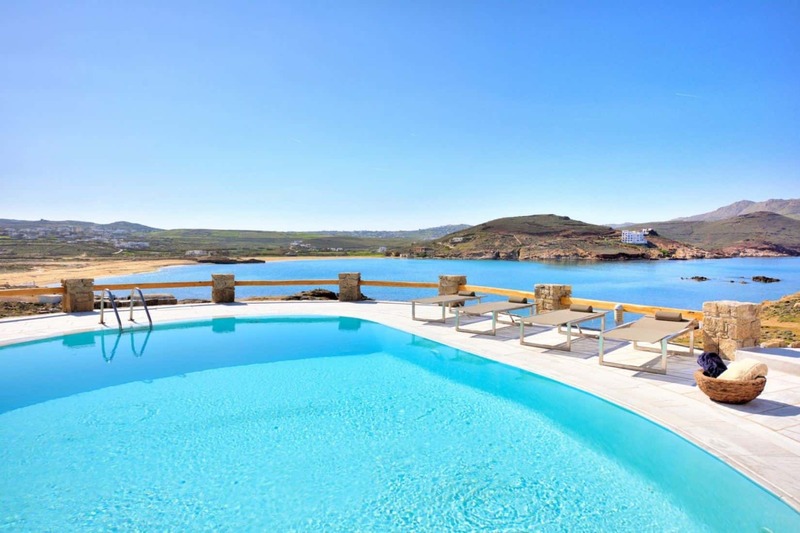 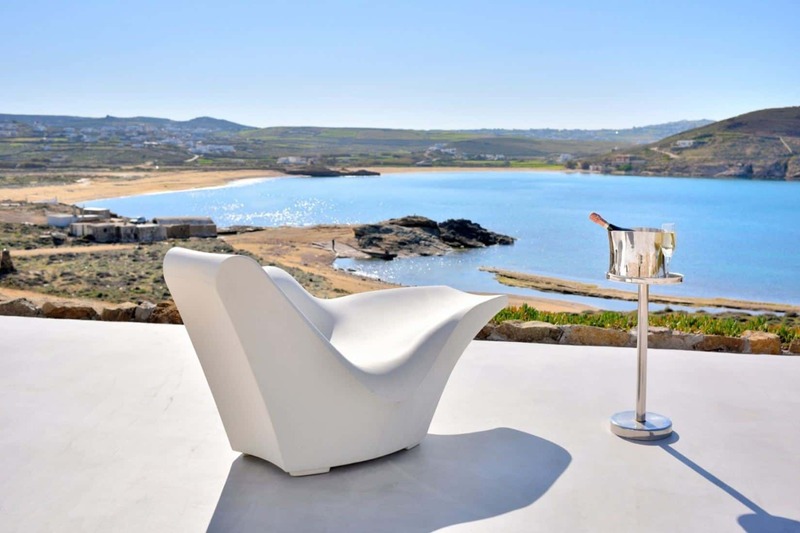 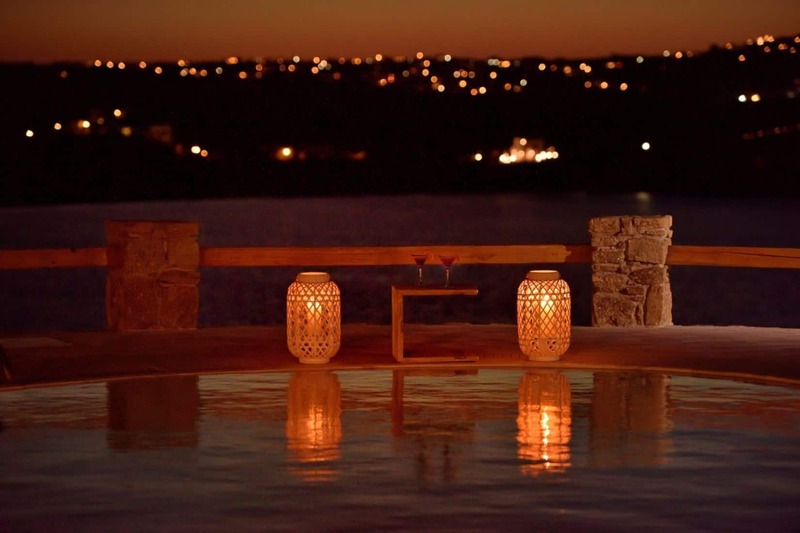 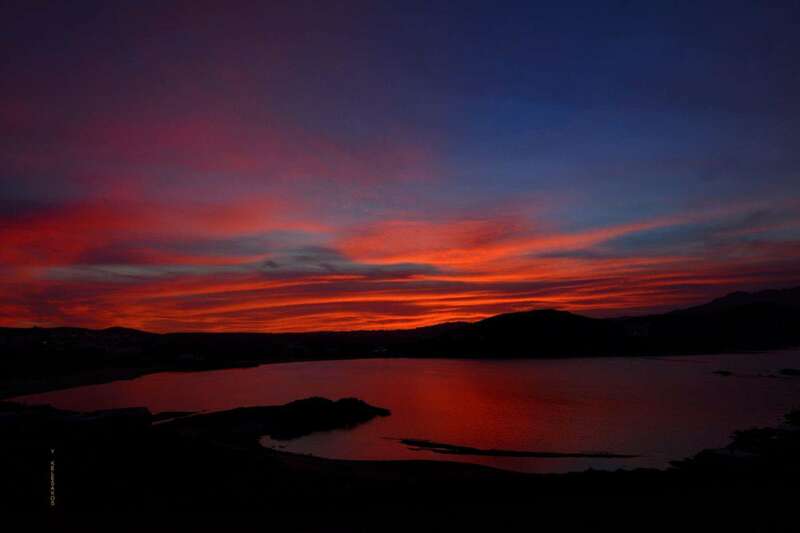 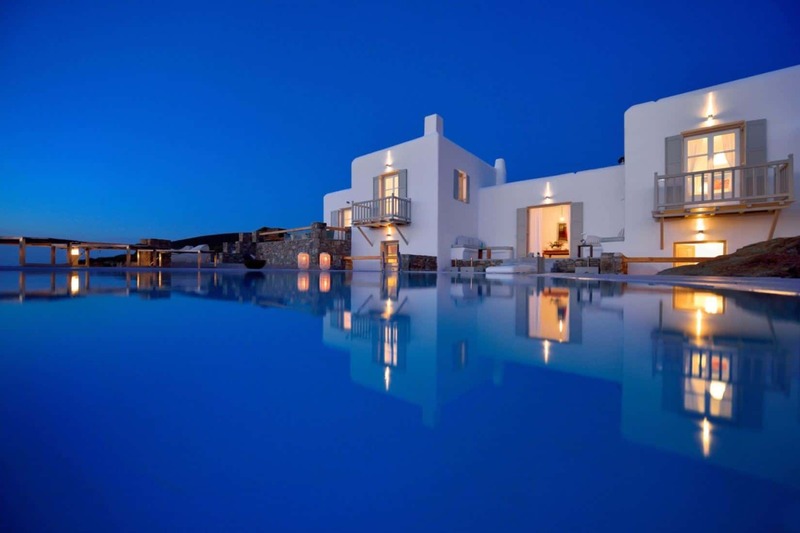 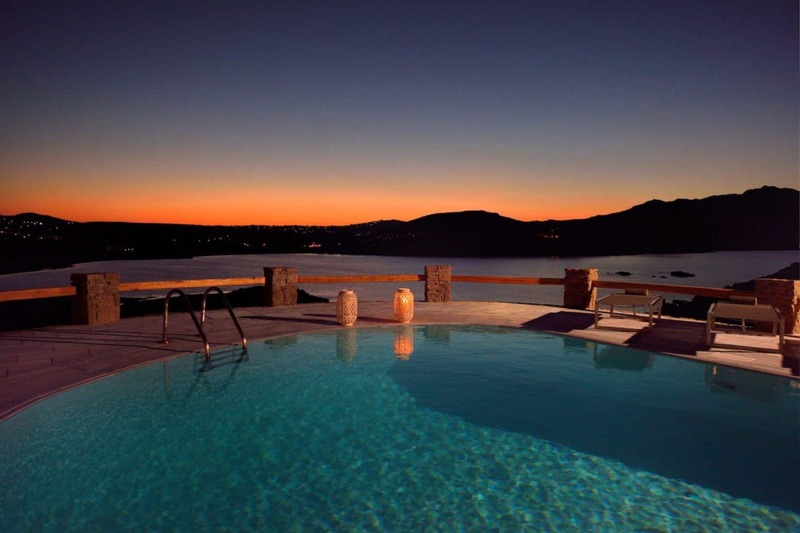 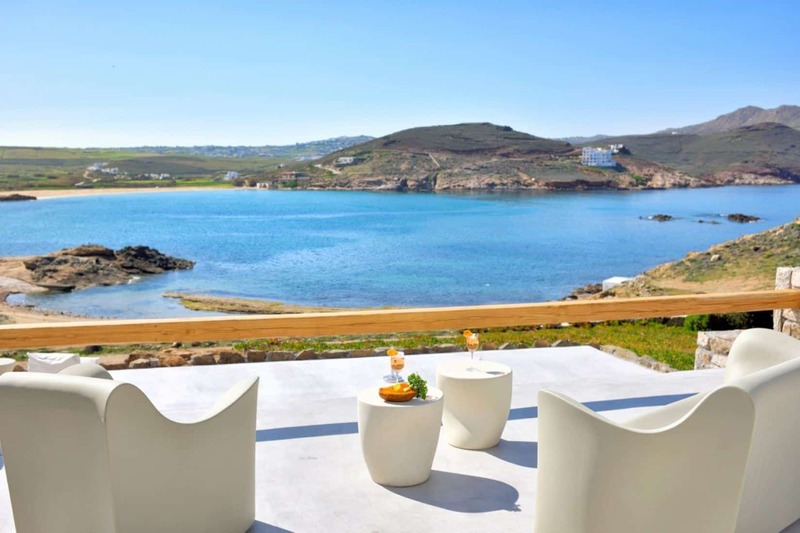 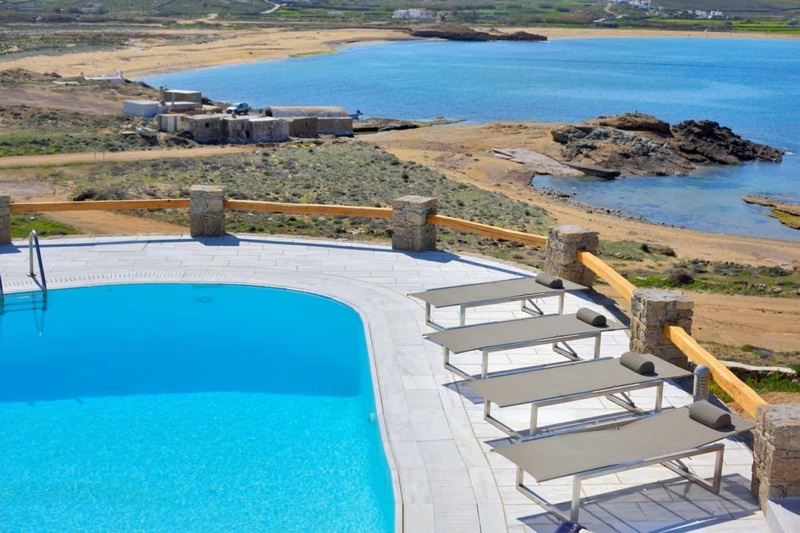 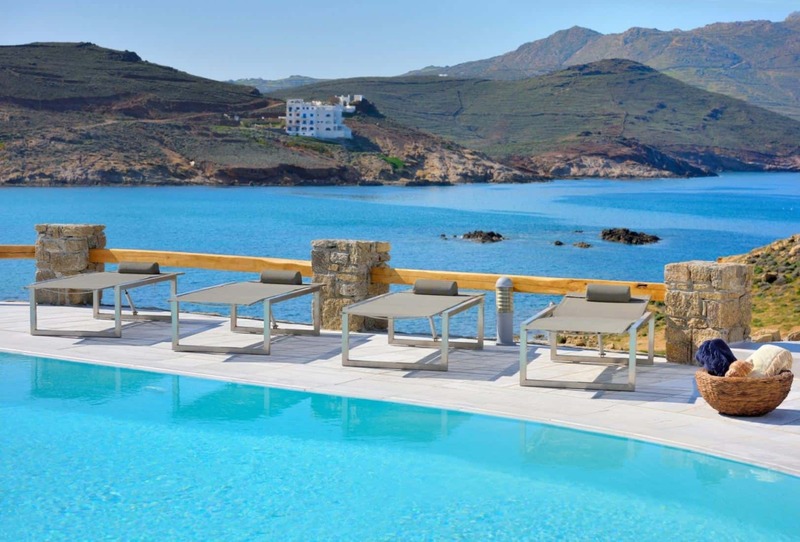 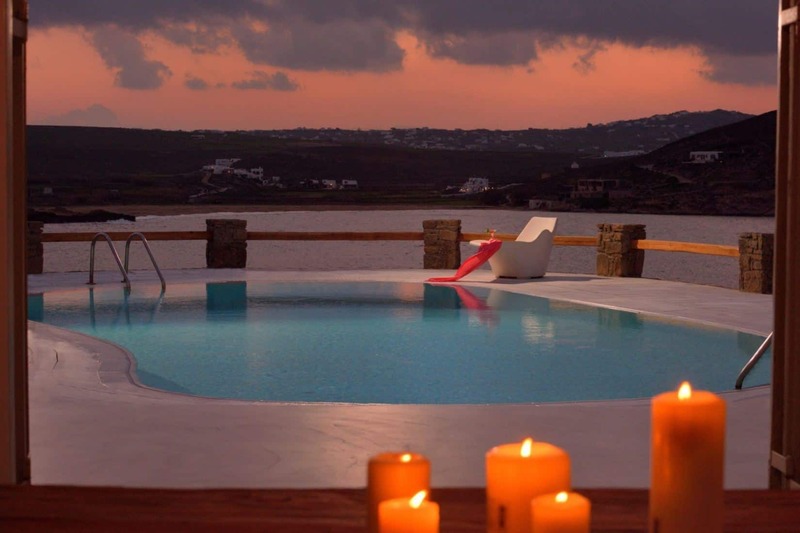 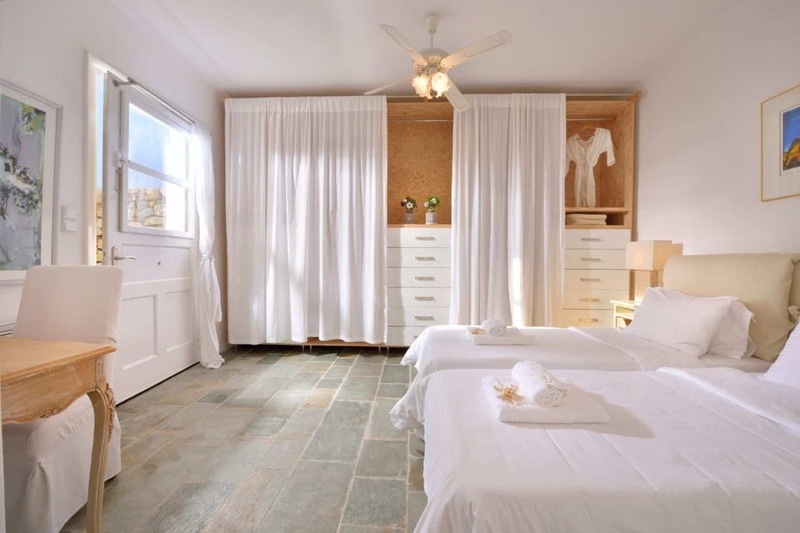 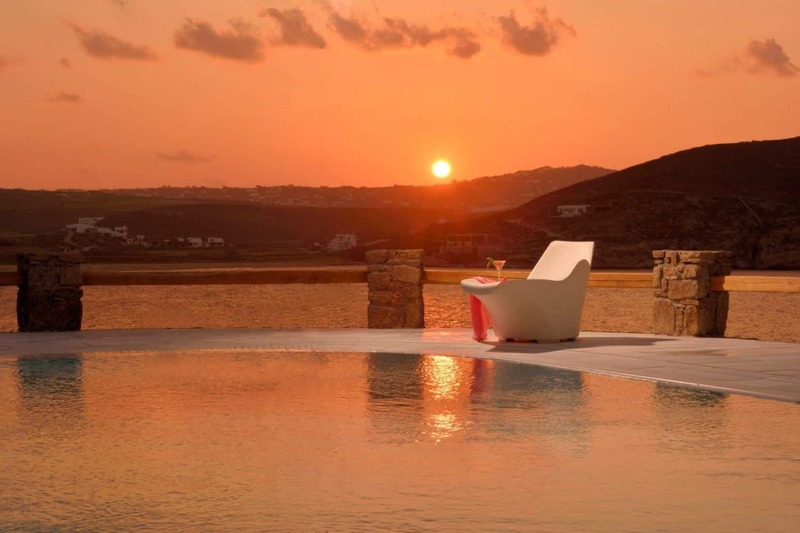 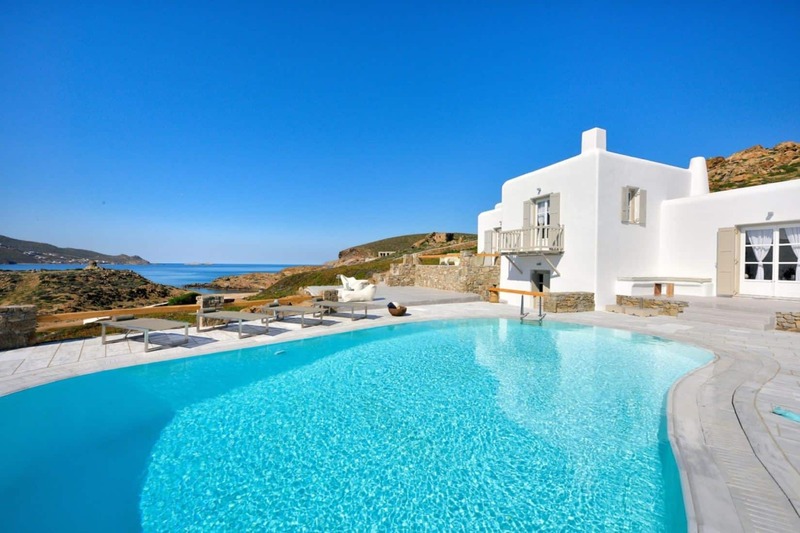 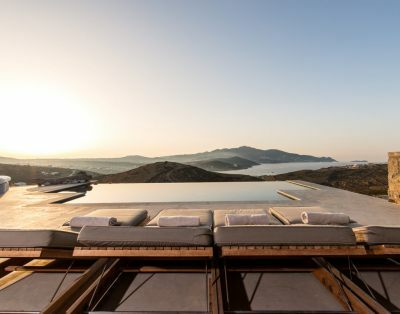 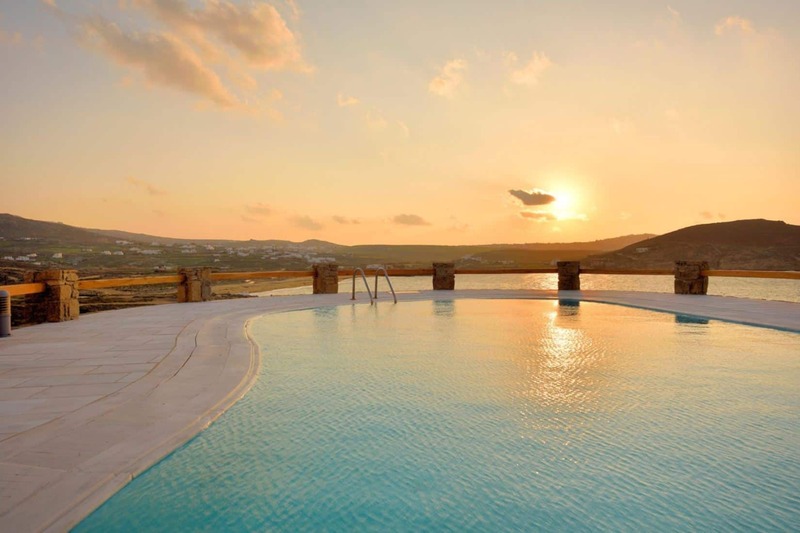 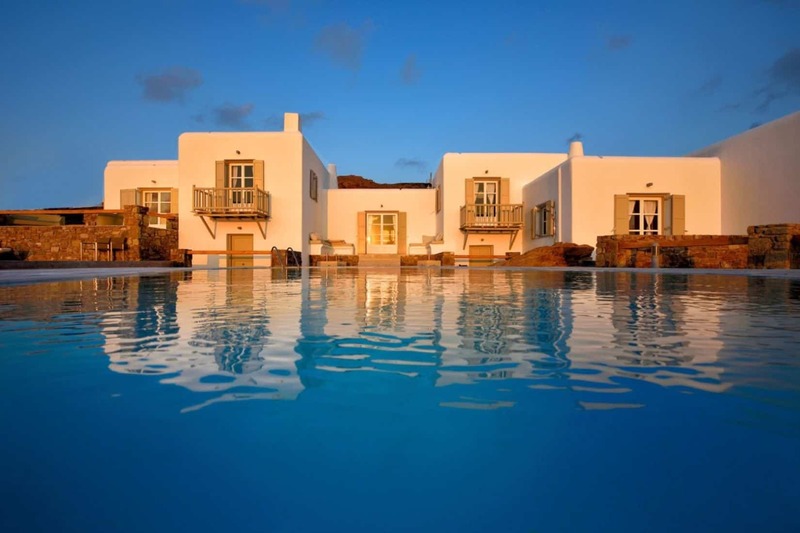 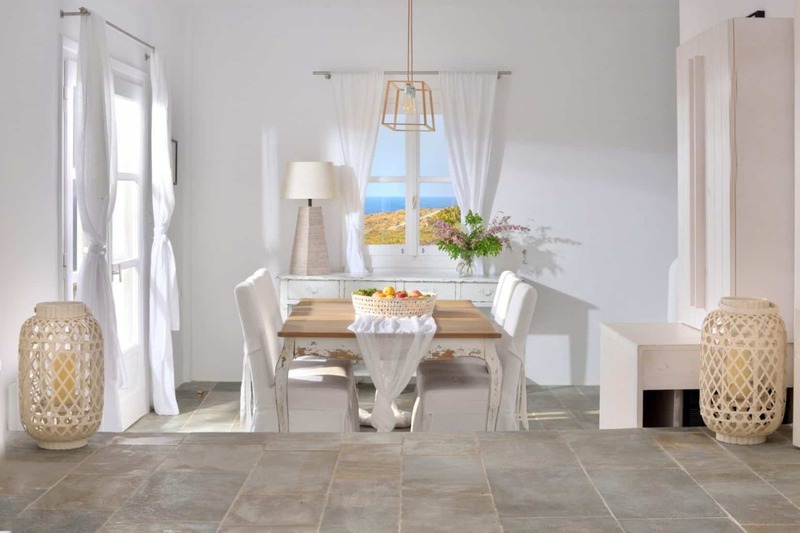 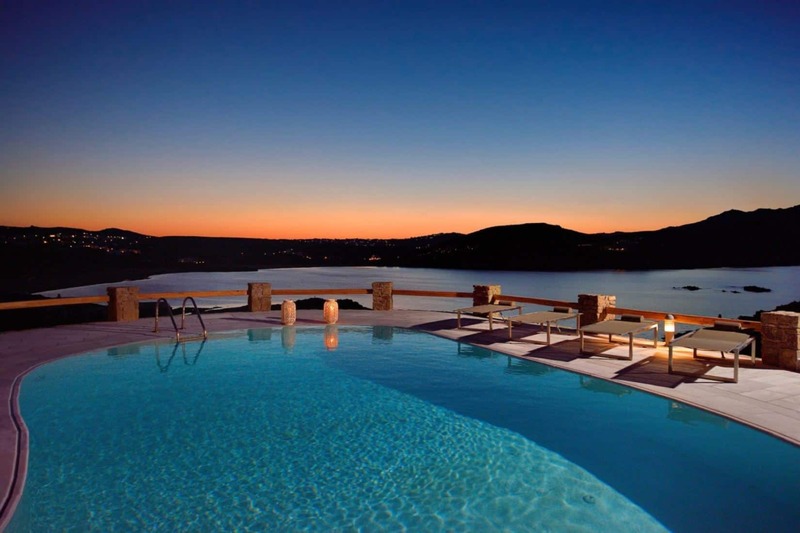 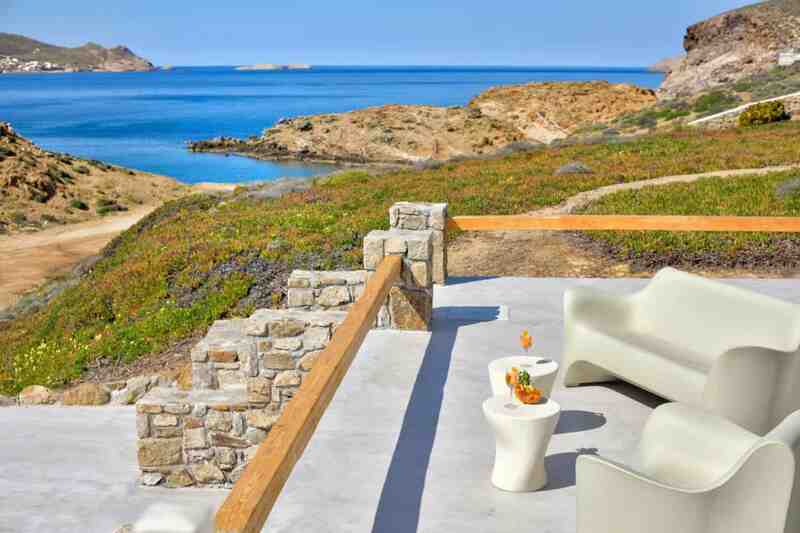 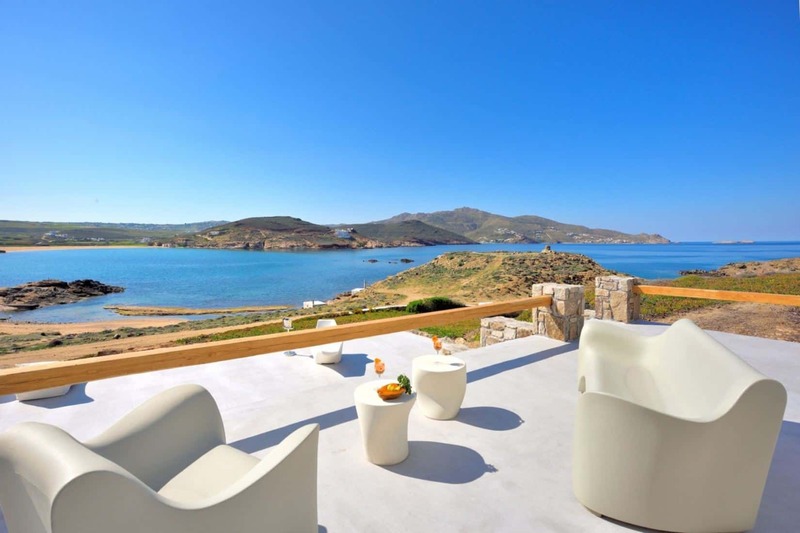 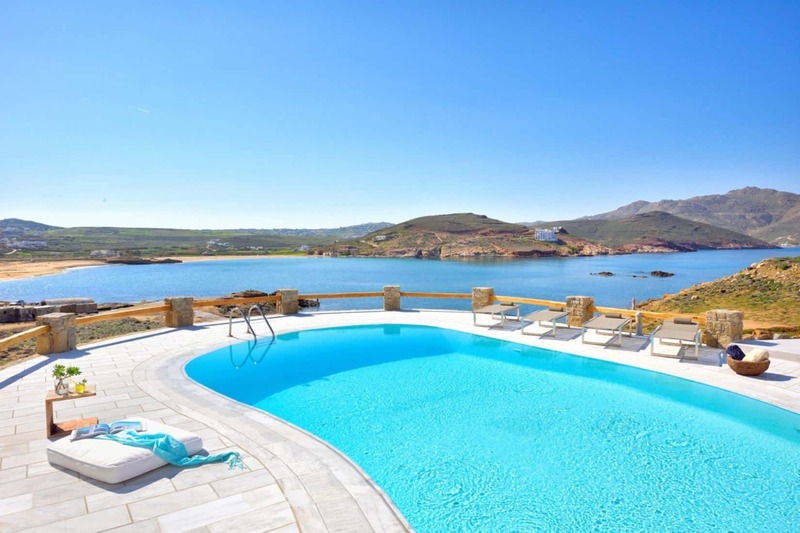 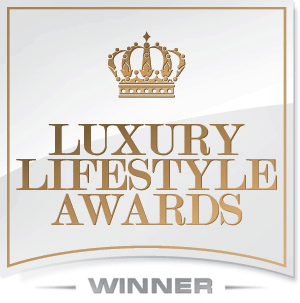 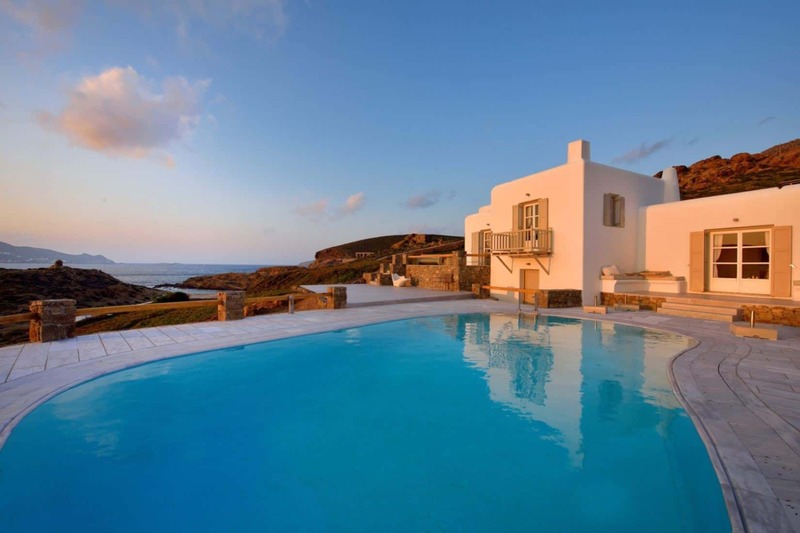 plot at the beautiful golf of Ftelia and is one of the most spectacular large villas on the island of Mykonos. 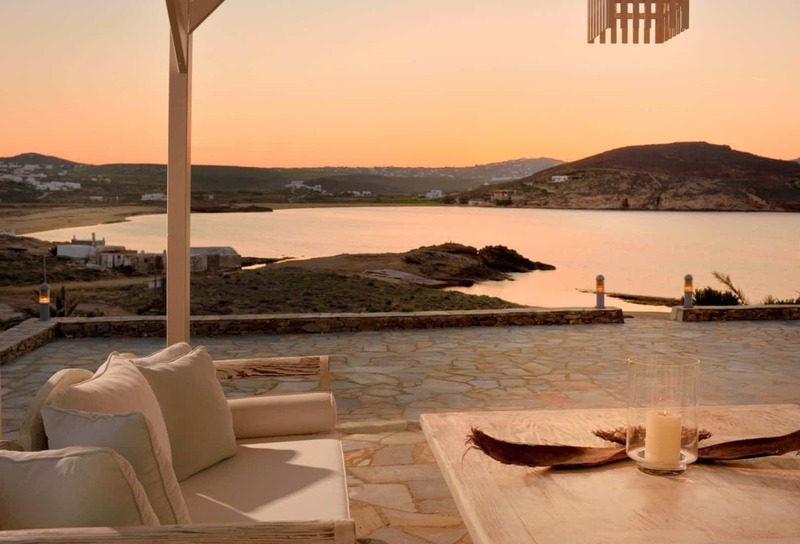 This property is located only 2 minutes away from the famous beach of Ftelia and only 10 minutes from Mykonos town center by car. 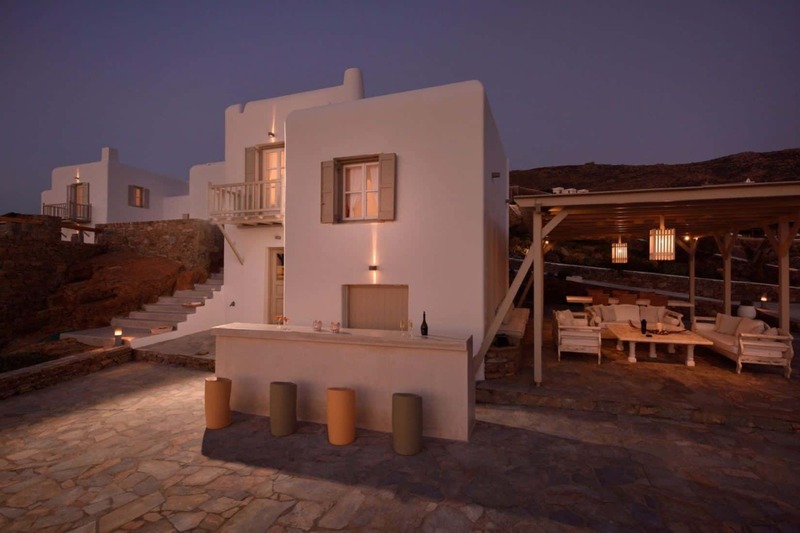 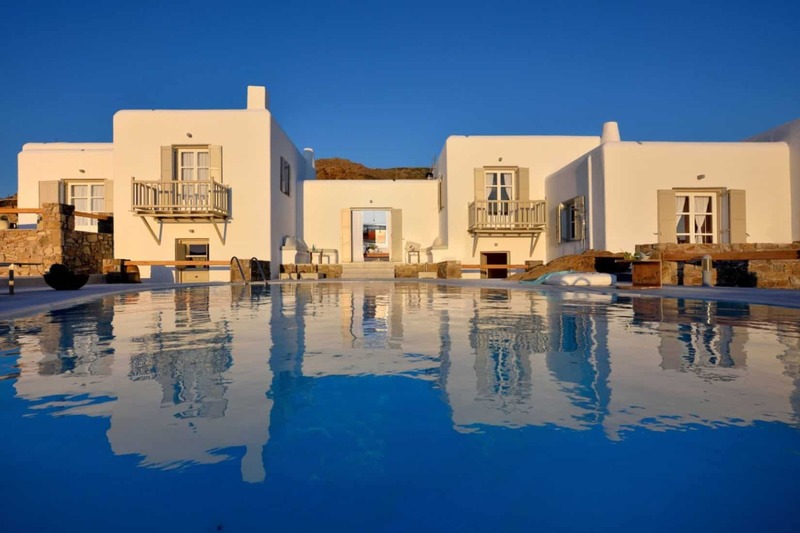 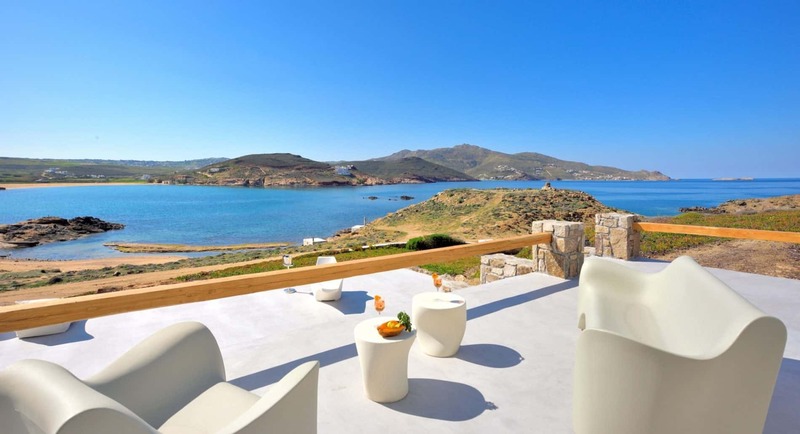 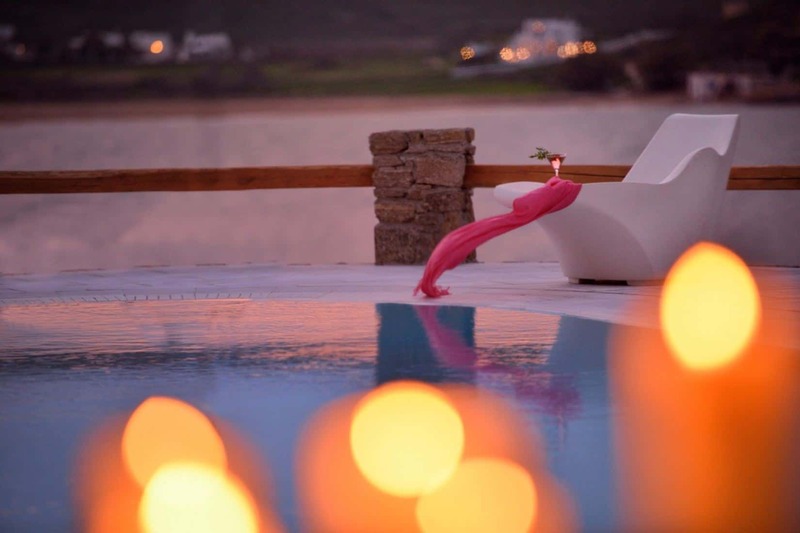 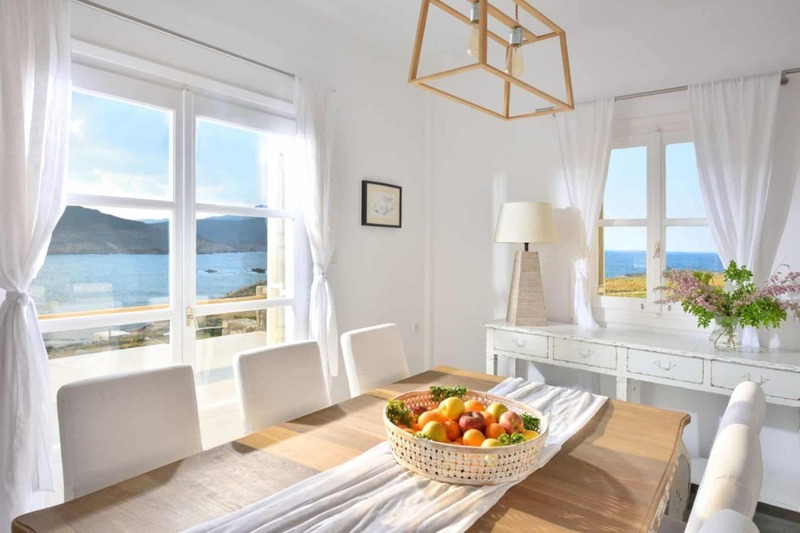 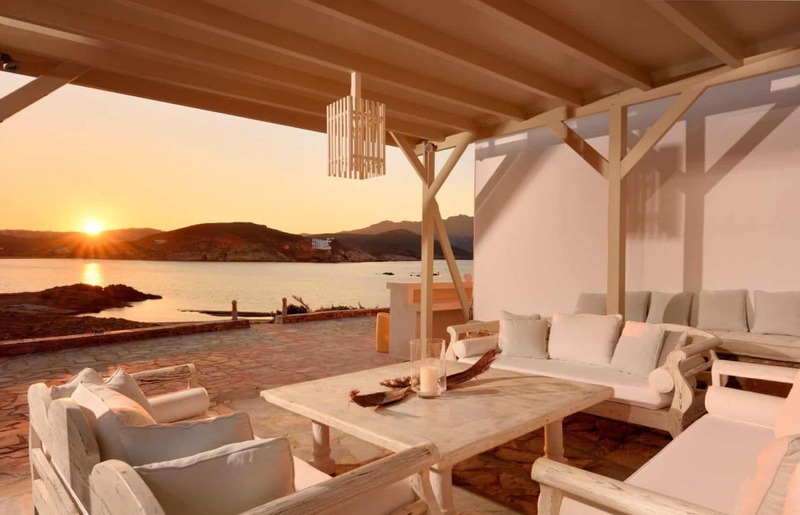 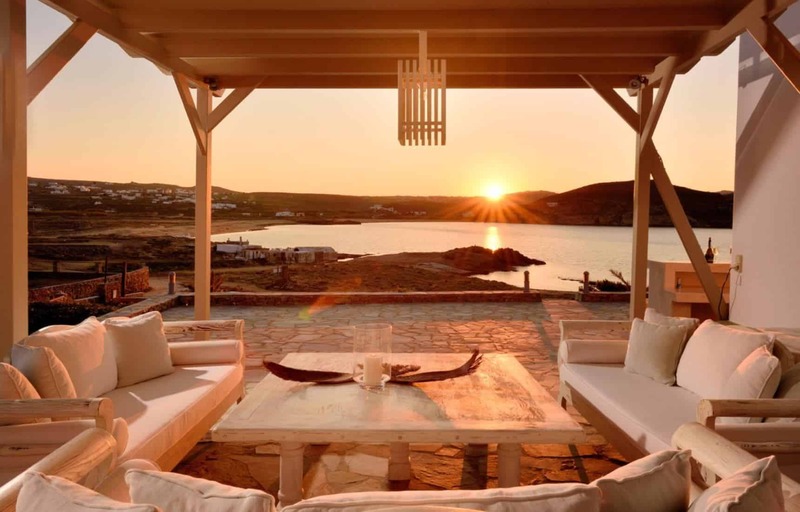 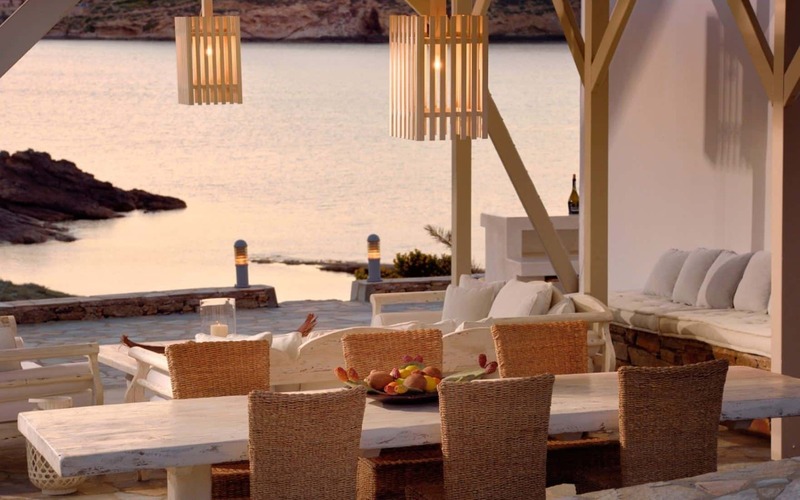 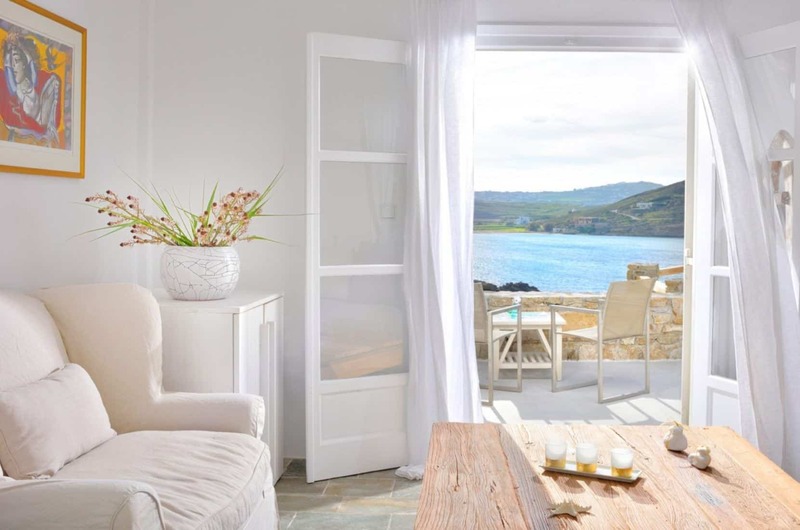 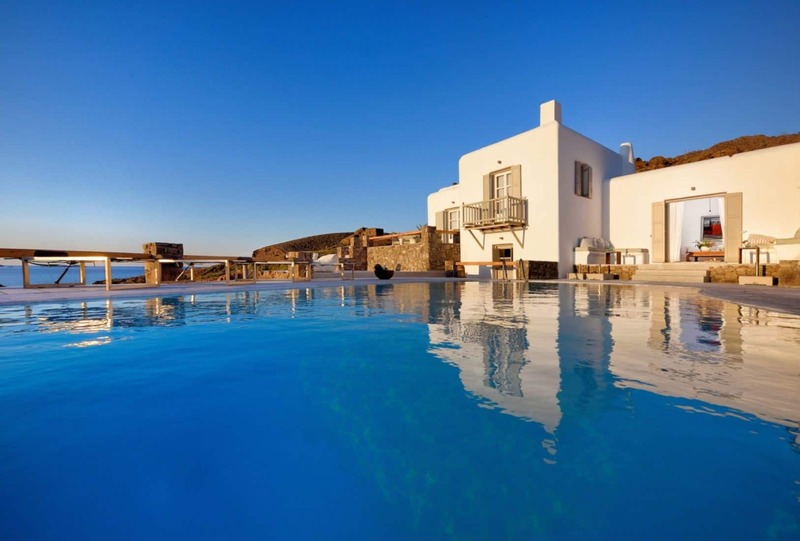 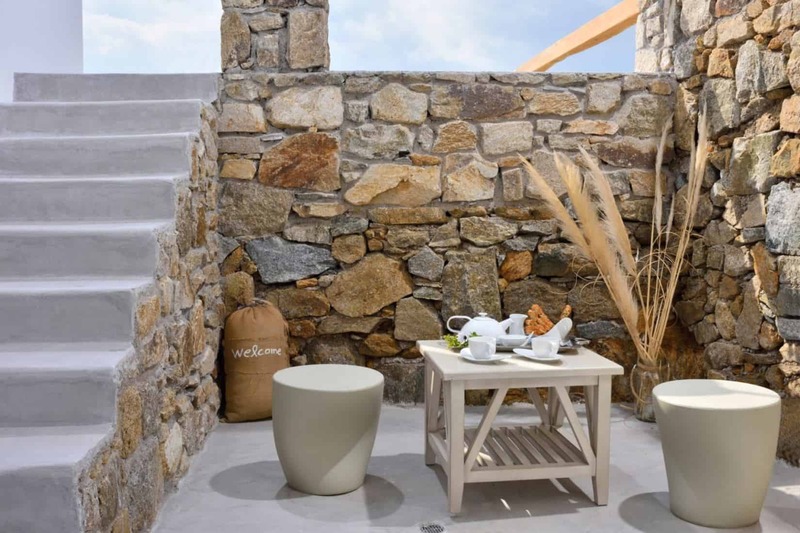 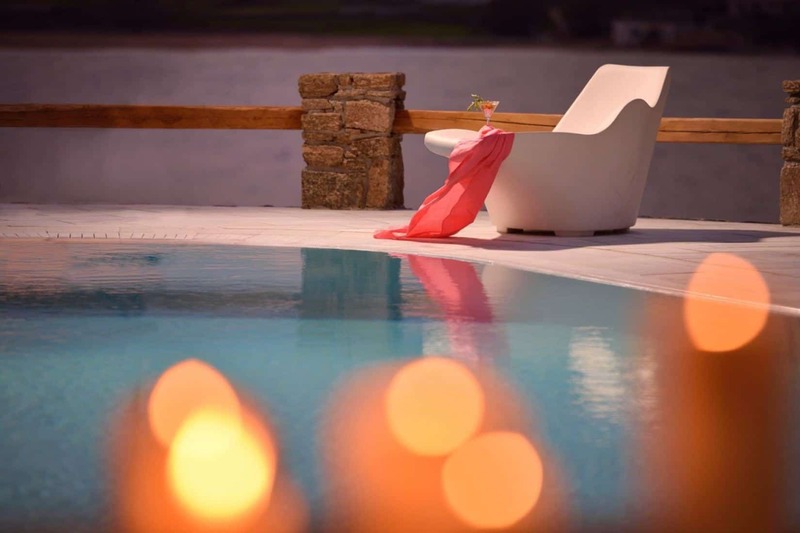 It is a quiet residence, it offers full privacy and at the same time very close to the famous beach restaurant and the unique nightlife of Mykonos island. 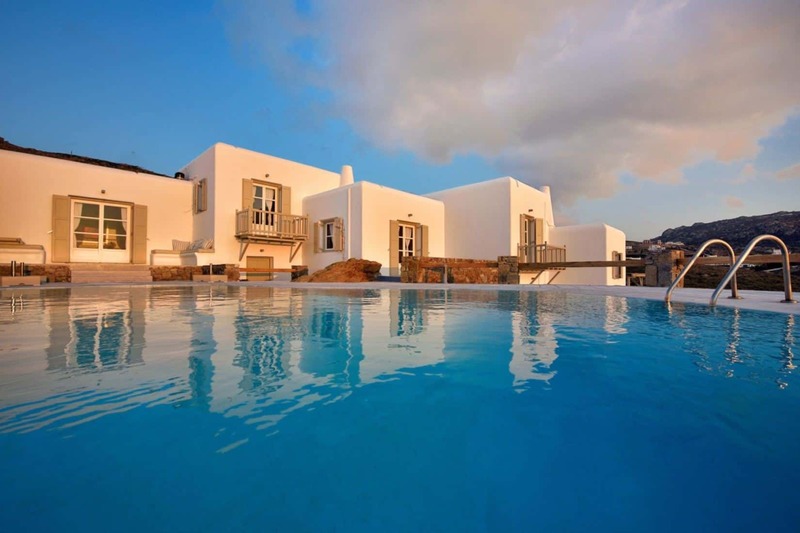 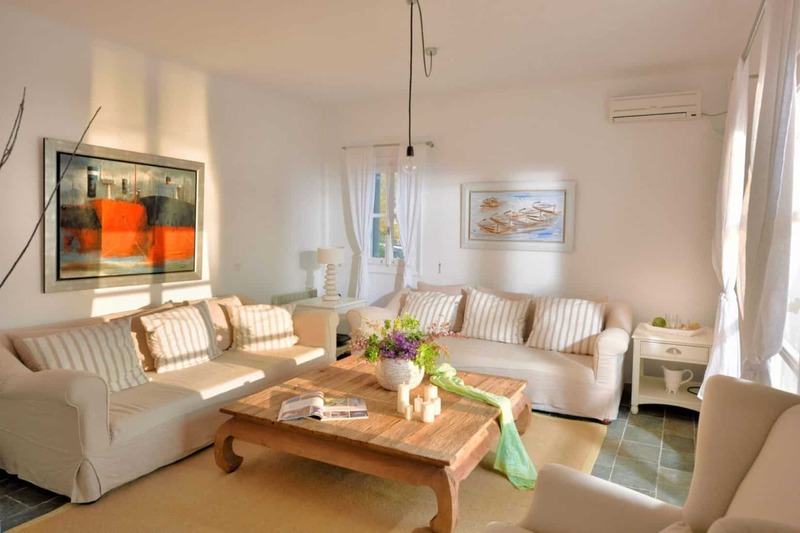 Villa Juliet is perfect for a family reunion or a friends vacation, great for special occasions or celebration. 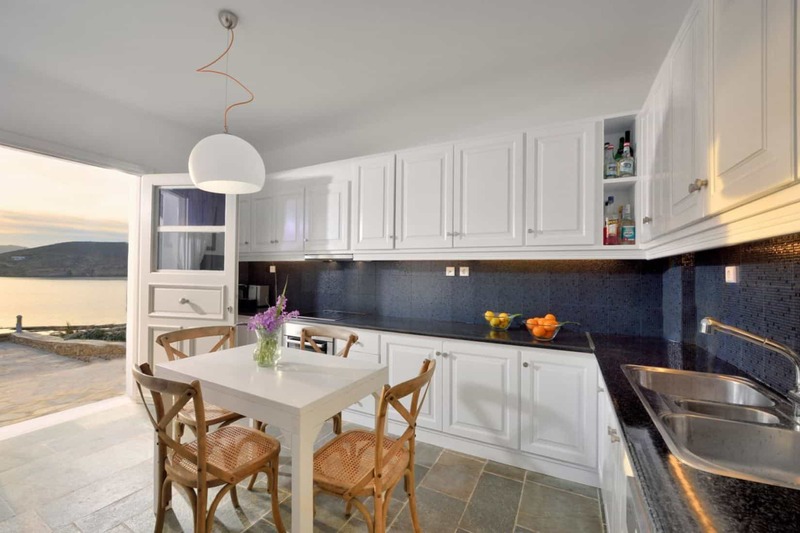 Ground floor: Kitchen equipped with modern appliances with direct access to outdoor dining area sitting area, bar sunbeds. 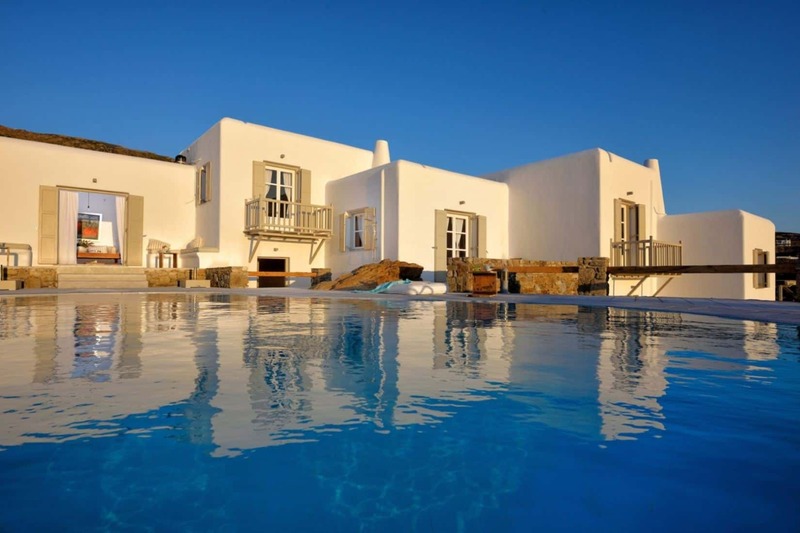 On the right side, there is a bedroom with 2 single beds, en-suite bathroom, access to the pool. 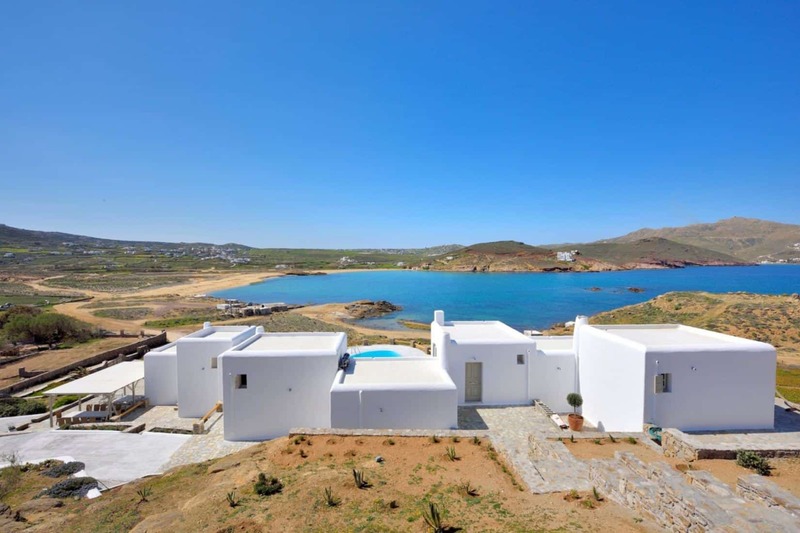 One the left side there is a bedroom with 2 single beds, en-suite bathroom. 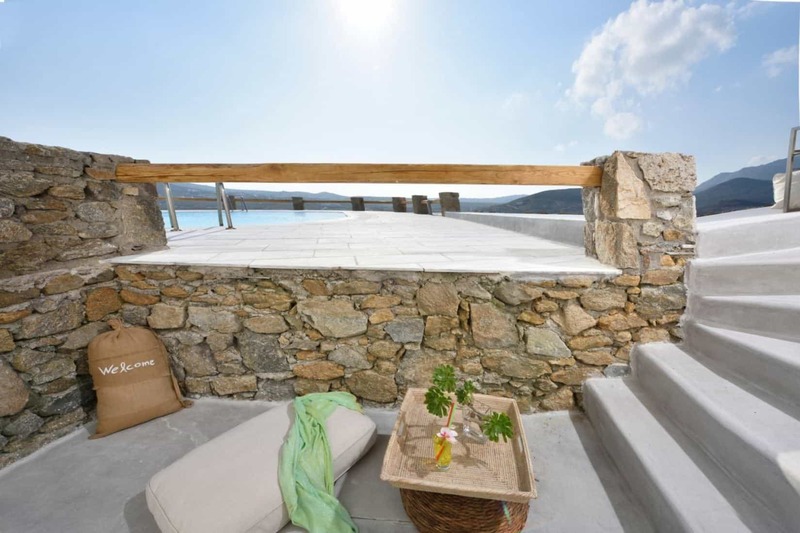 Mezzanine: Dining area, kitchenette, living room, access to a veranda with pool and sea view. 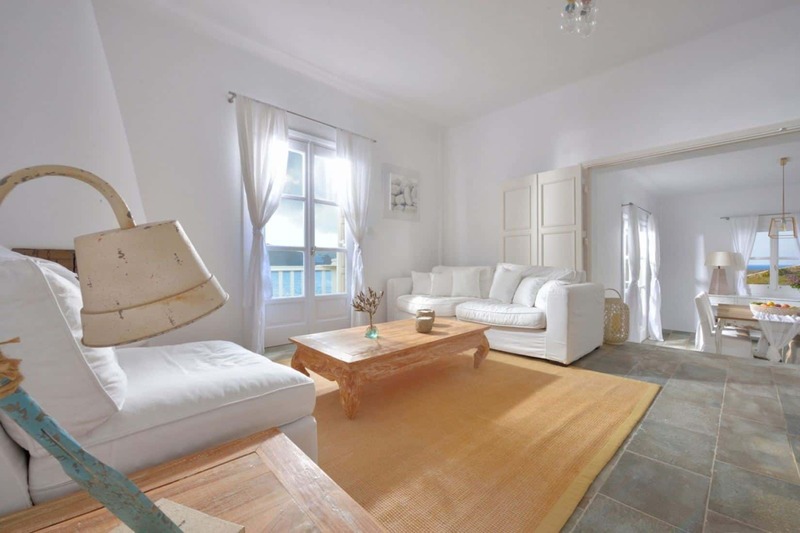 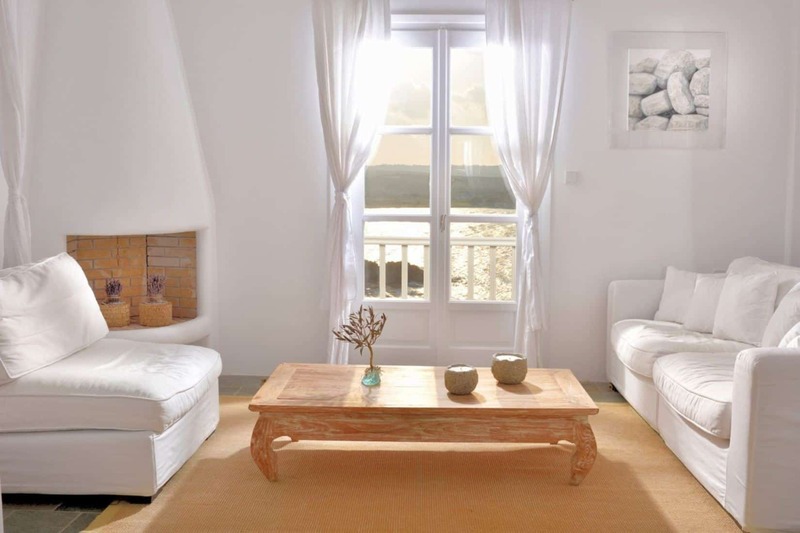 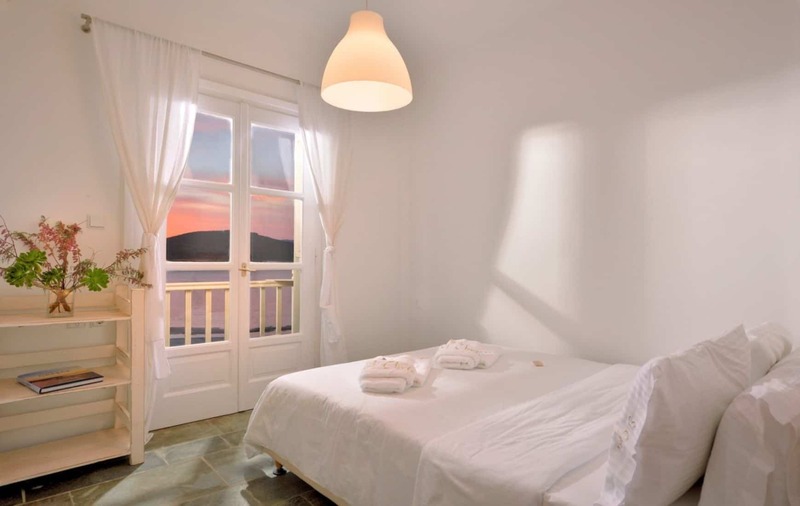 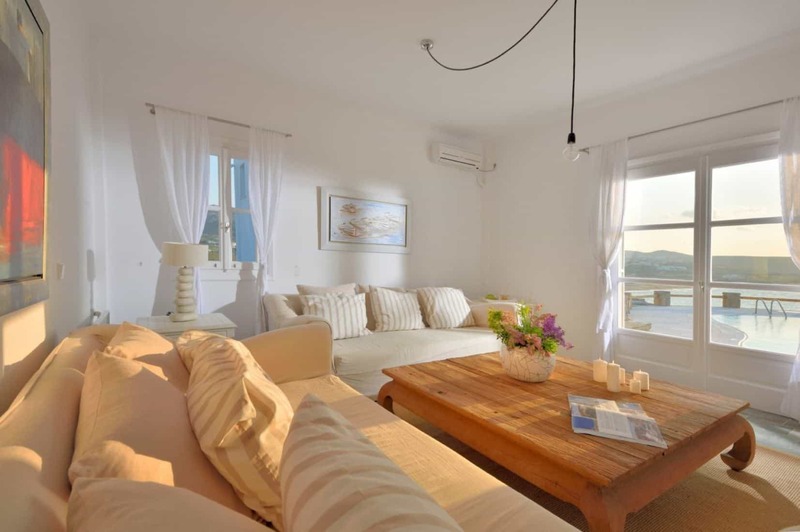 Attic: Bedroom with a double bed, en-suite bathroom, access to a small balcony with sea view. 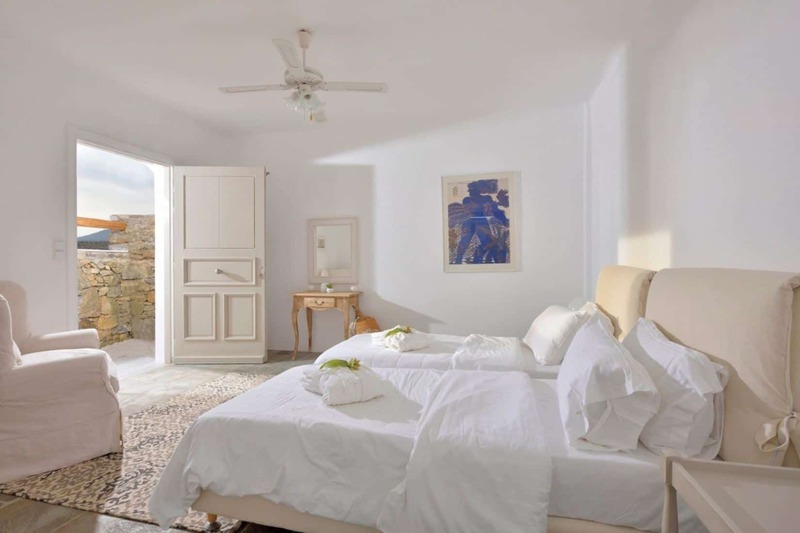 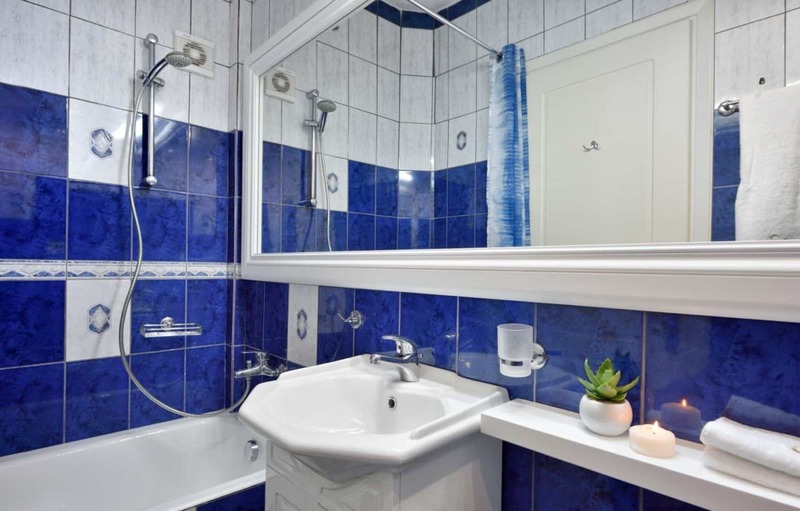 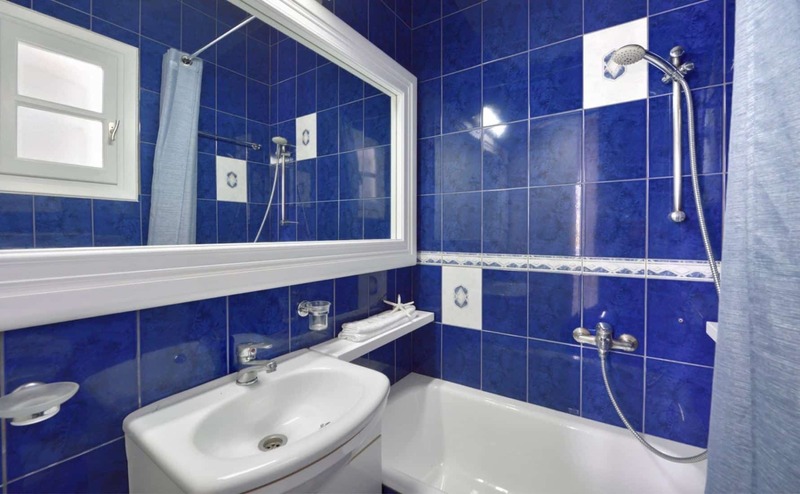 Bedrooms/Baths Description: The villa entrance welcomes you to a sea view open plan living room, dining room, fully equipped kitchen and a guest toilet. 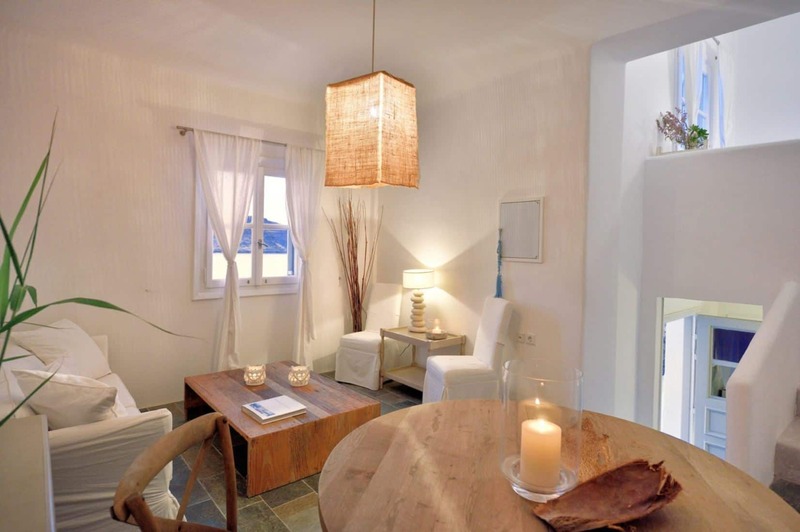 A few steps lead to two double bedrooms. 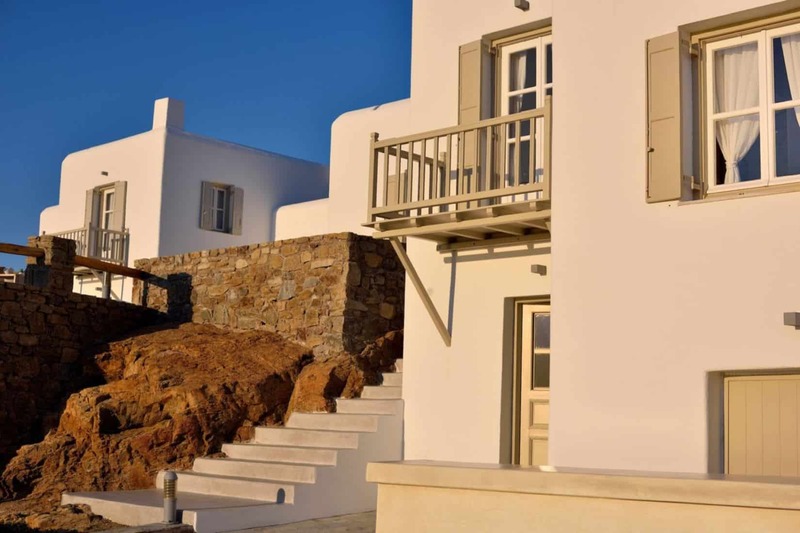 Climbing some more steps you will find the two master bedrooms with ensuite bathrooms that gives you an incredible sea view and a veranda. 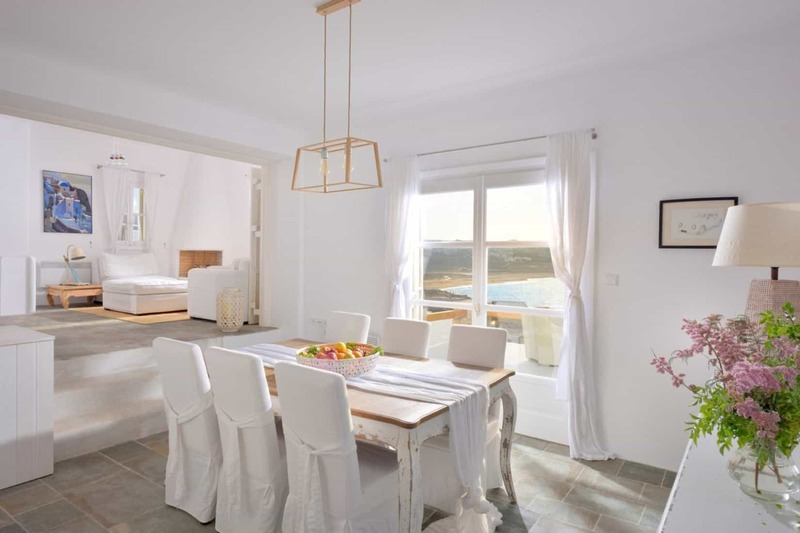 Choose any of the 4 bedrooms in the main building for yourself, according to your liking. 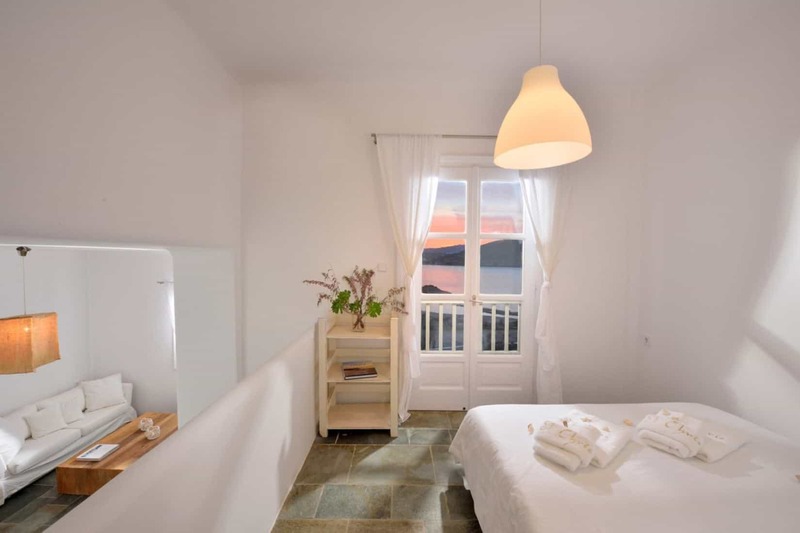 No matter which one you choose, you will not miss the breathtaking view of the sea and can see the sun setting from your bedroom window. 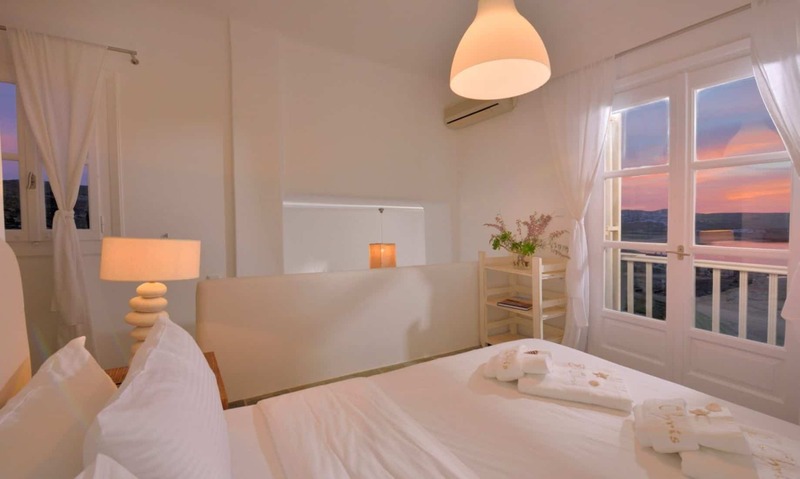 The guest room has a private entrance overlooking the sea and the pool and an en-suite bathroom. 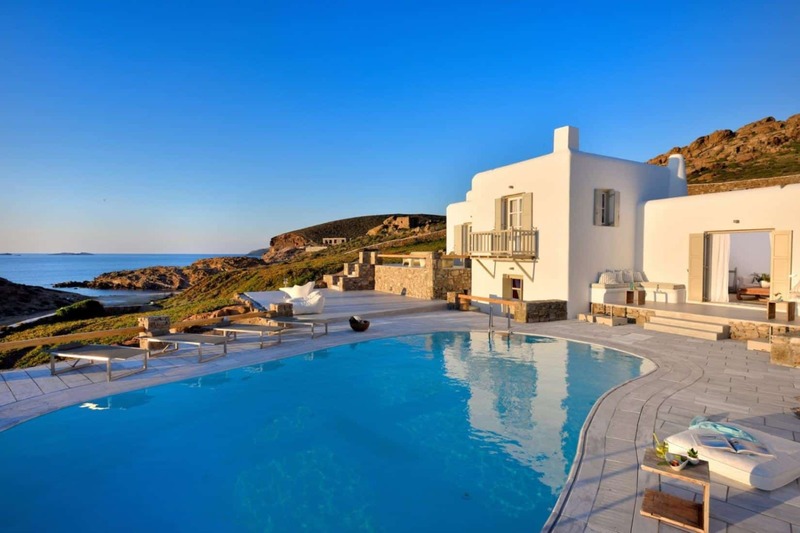 Services Included: Welcome at airport (pick up and follow) check in & check out. 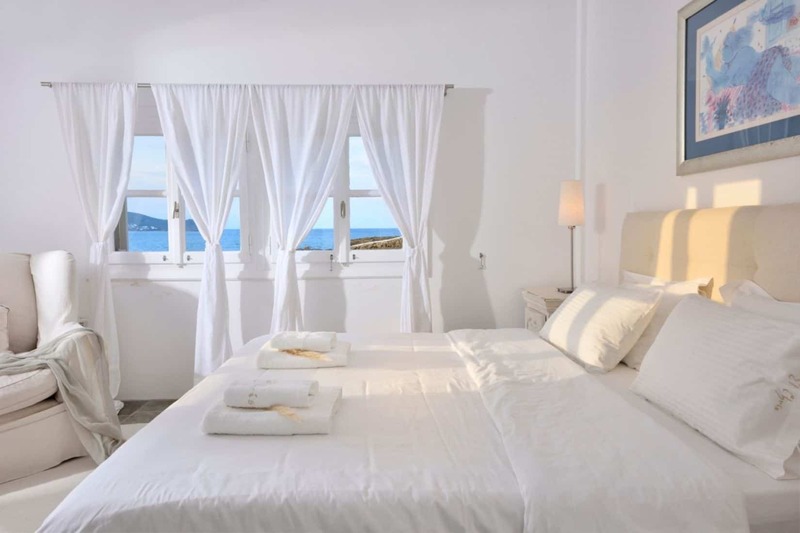 Welcome drink & fresh fruits Daily maid service, change linen and towels twice a week and pool maintenance. 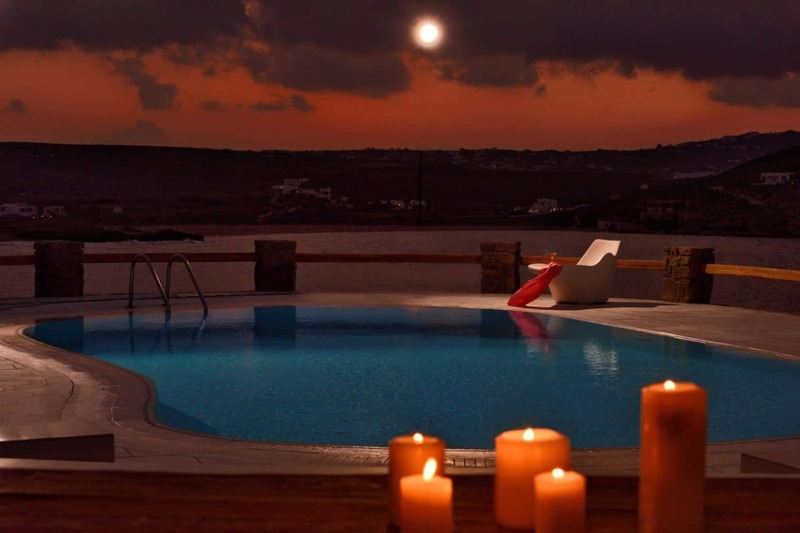 Outdoor Facilities: The outdoor area is established in 2 levels: pool and modern pergola level. 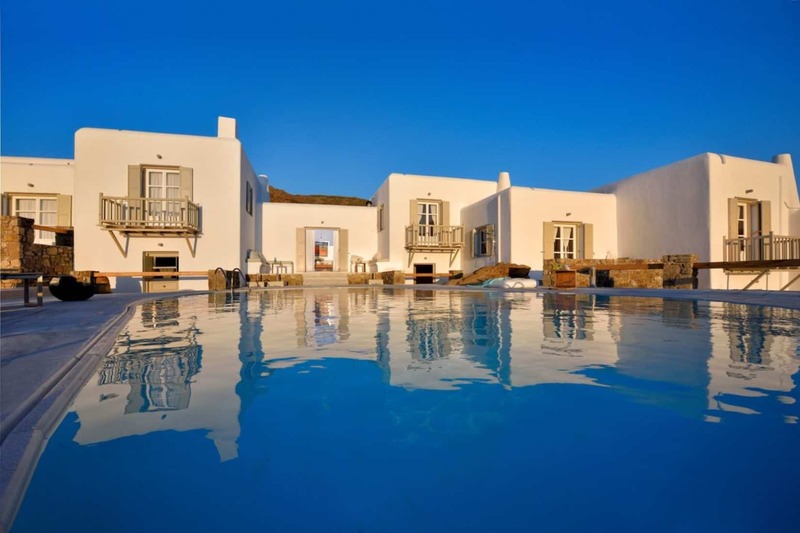 At the pool, there are several sunbeds while at the pergola level there is a big monastery table for 12 persons & living area. 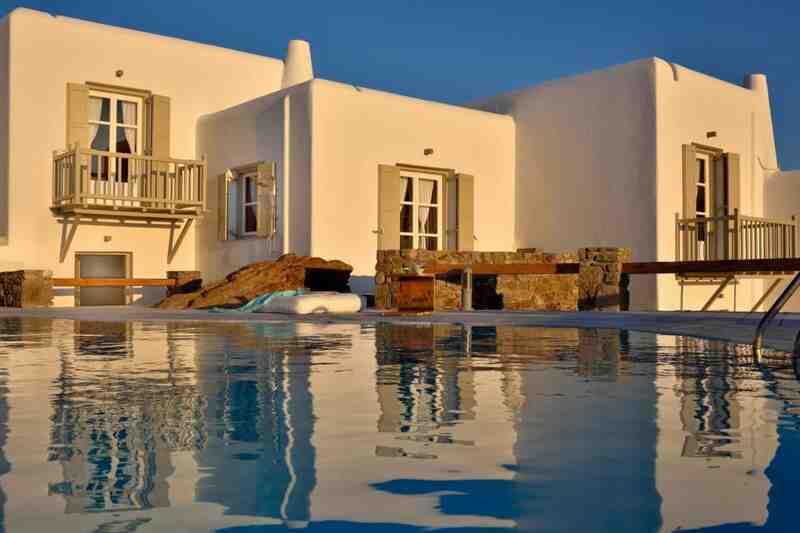 Policy: For reservations more than 60 days prior to check-in: - Down payment 40% of the total amount upon reservation. 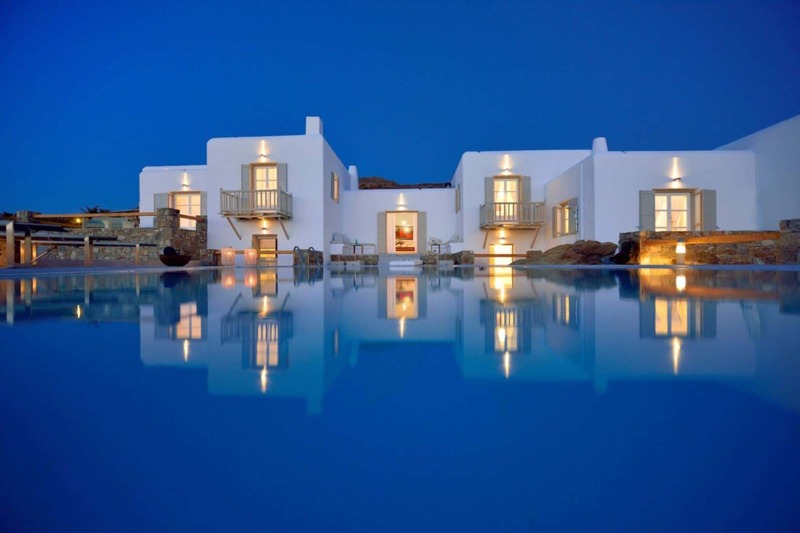 - Balance 60% of the amount 60 days prior to arrival. 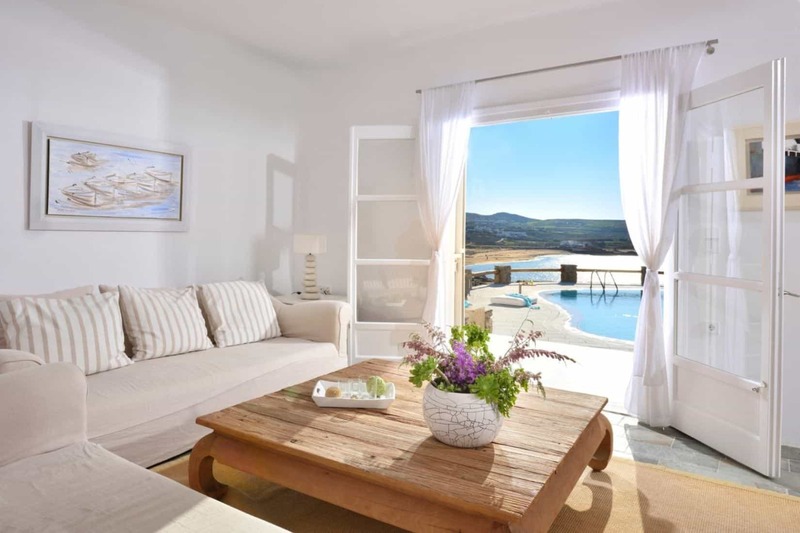 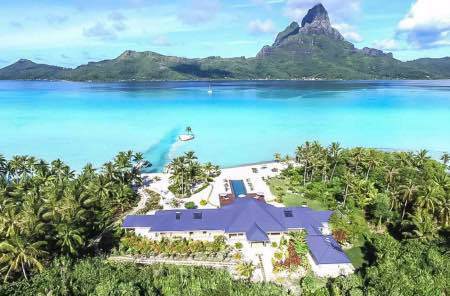 - Security deposit 25% of the total amount required 2 weeks prior to check-in with a wire transfer or with credit card pre-authorisation upon arrival. 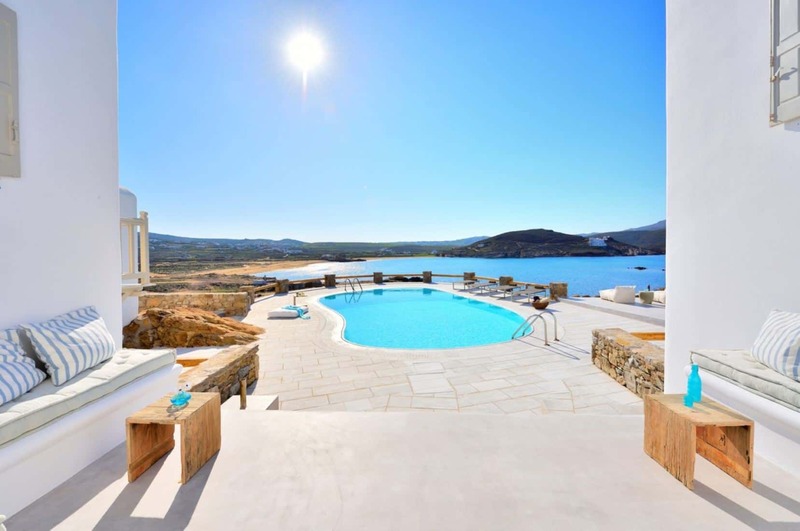 For reservations less than 60 days prior to check-in: - Down payment 100% of the total amount upon reservation. 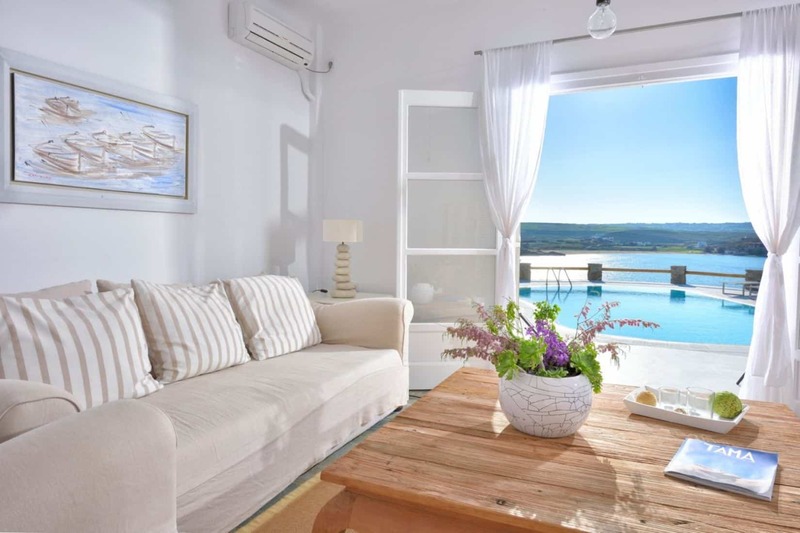 - Security deposit 25% of the total amount required 2 weeks prior to check-in with a wire transfer or with credit card pre-authorisation upon arrival.